Here’s how you and your family can see just how stunningly gorgeous our country is. 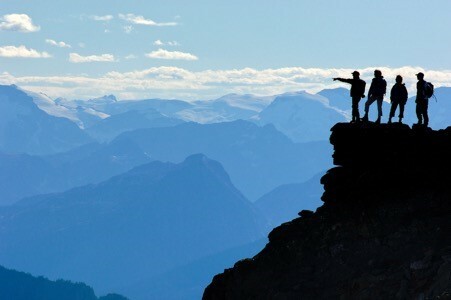 You can join us on one of the easiest and most exhilarating adventures anywhere – heli-hiking in B.C. from July 18 to 22, 2018. No skill or endurance is required. Just a sense of adventure (which may have lain dormant in your heart for years) and a desire to smell the wild roses. Just as there are no conditioning or skill limits, there are no age limits either. You can be 8, 18 or 81 and be enlivened by the whole thing. You can be a marathon runner or mountain climber. Or you can be barely mobile. You can come on your own. You can bring your partner, your grandkids, your bestest pal. 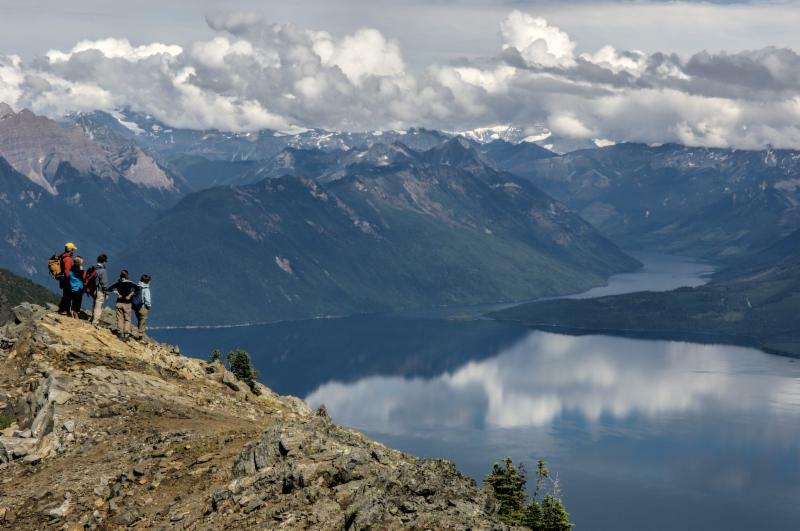 We’ve taken friends heli-hiking for the past few summers and all of them (and I mean all) come home raving about how beautiful, different and wonderful it all was. And from door to door, the whole amazing experience is just five summer days. 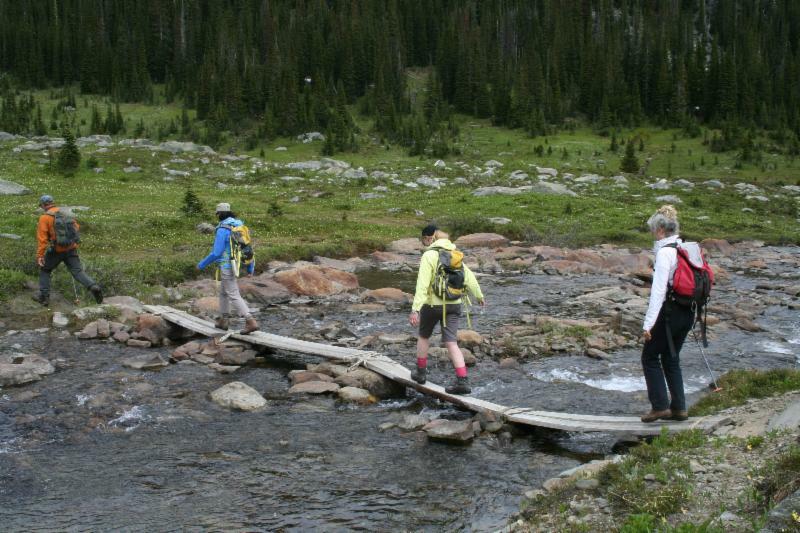 But even better than the scenery and the meals is the company; we’re staying at Monashee Lodge which holds 48 people and you’ll meet some fascinating fellow travelers from all kinds of places. Best of all, we’ve laid on some special treats for this year’s trip. Like a barbecue dinner high on a mountain…plus a hike to “where no person has ever touched foot before” … plus the usual Top-Secret surprises. The morning of Wednesday, July 18 we fly out on Air Canada direct to Kelowna. We get to the Lodge mid-afternoon, settle in and enjoy a fabulous dinner that evening. Then three fantastic full days of heli-hiking. Then on Sunday, July 22 we head back to Kelowna and home to Toronto. 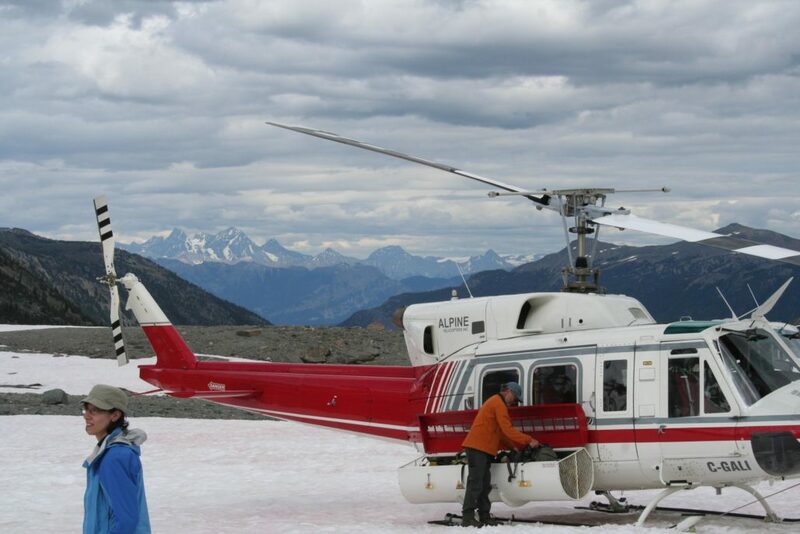 The trips are run by Canadian Mountain Holidays, the people who invented the sport of heli-skiing, and the art of heli-hiking. CMH has been declared “The Best Adventure Travel Company on Earth” by the National Geographic Society. And fear not, oh you techno-addicts: the Lodge has Wi-Fi, so you can get online and do your e-mail. The cost is $3,995 per person from the minute we’re picked up by CMH in Kelowna until we’re returned back there. (We also have a good group rate on the flight). Indeed, heli-hiking has been called a once-in-a-lifetime experience, and from what I hear it’s not nearly such fun after our lifetime! So if you’re just now turning your gaze to making your summer unforgettable, here’s your chance. Please grab it now. This trip will fill up quickly. So the question is, will you be with us on top of the world? After all, Heaven can wait. But can you? — and if you’d like to bring along your friends and other family members, please do that too. 2. You’ll want to book your flights directly with Kris Knowles at Hospitality Tours for the preferential pricing above. You can reach her at mail@hospitalitytours.com or 647-205-1228. 3. And please let us know you’re coming as well — bob@ramsayinc.com. P.S. Here are six more reasons to do this. n my world, and like the arrival of a child, it makes me grin like an idiot to think of it. It starts with the skies. I have seen skies from Africa to Fiji. I have never seen skies as clear as mountain skies. Then there are the meadows. 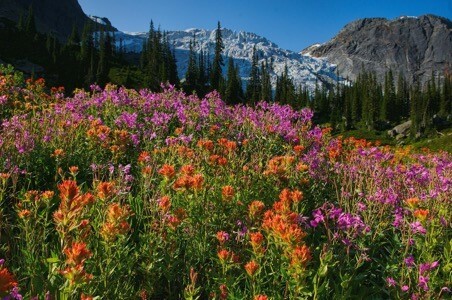 I had no idea there were meadows in the mountains, meadows fit for elves and pixies. I expected to see hobbits around every turn and across every babbling brook, popping out of the green-blue glacial lakes. “You COULD just hike on over to a rooftop bar in Toronto OR you could actually hike the rooftop of Canada by flinging yourself into a heli-hiking adventure in the Bugaboos! Balletically leaping from peak to peak, our giant helicopter spilled us out on one glorious hike after another in a wide variety of mountain terrains. And, the Via Ferrata, while a bit daunting to contemplate, truly is an adventure well worth doing. You will surprise yourself – whether you are super-fit or just cautiously optimistic about what you might be able to do. 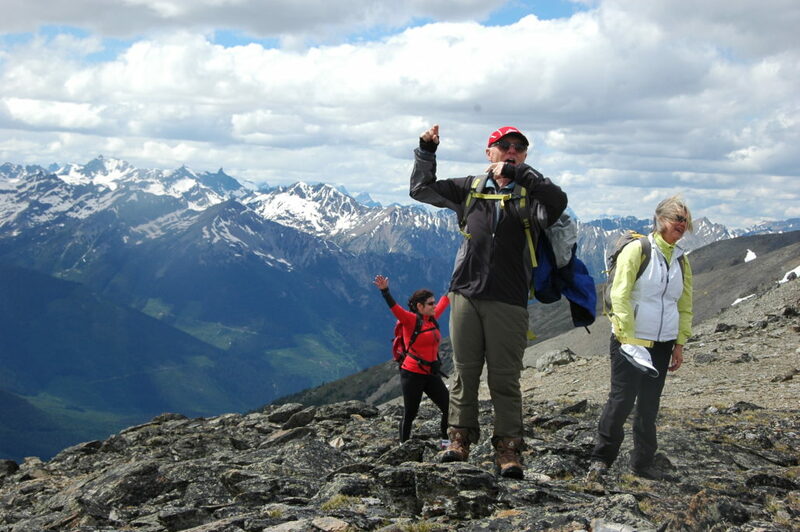 “A dear friend of mine mentioned the amazing heli-hiking trip she and her husband had taken with Bob Ramsay in 2011. Looking for an insurmountable adventure I signed up including some of my family members.The trip exceeded my expectations in every way. 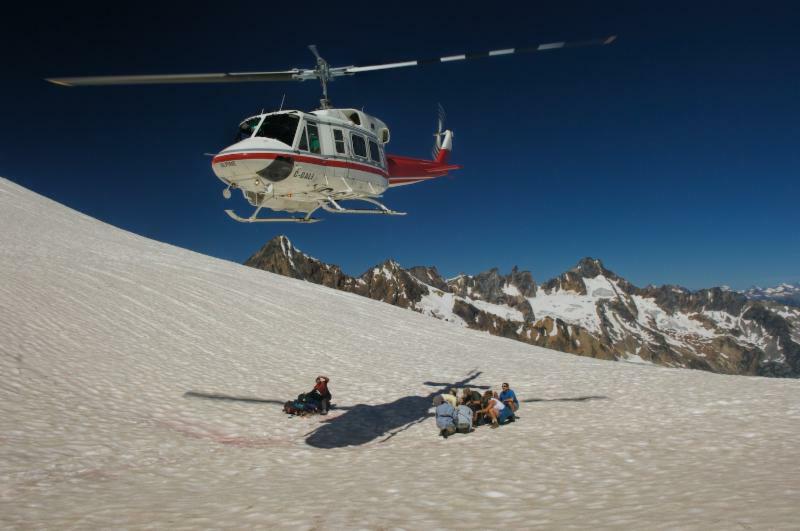 Heli-hiking was the answer to my quest for adventure.The beauty of the terrain was like a never ending movie, areas of pristine snow, turquoise glacier lakes, alpine meadows abounding with wild flowers, and cranky mountain ridges.